We are currently in the midst of the worst economic crisis in over 80 years. Many individuals and families who once enjoyed a stable life now find themselves out of work, behind on payments, and facing foreclosure. Our experienced Bristol Chapter 13 bankruptcy attorneys can help you find your way out of this economic mess. Filing for Chapter 13 bankruptcy can help relieve your financial troubles and stop foreclosure proceedings. Your financial situation may not be as hopeless as you think. Call 860-589-6525 or contact us online to speak with an experienced bankruptcy lawyer to determine whether Chapter 13 bankruptcy may be the right option for you. The term bankruptcy conjures negative feelings for most people, but Chapter 13 bankruptcy can best be thought of as a responsible solution to otherwise insurmountable debt. If you qualify for Chapter 13 bankruptcy protection, an affordable plan of repayment will be determined by the bankruptcy court. The repayment plan will be in effect for three to five years, allowing you to repay your debts. At the end of the repayment plan, any remaining debt that was part of your bankruptcy plan will be eliminated. Perhaps most important, filing for bankruptcy can temporarily halt foreclosure proceedings. Chapter 13 bankruptcy allows you to strip second or third mortgages. Additionally, any late payments will become part of your repayment plan, which means you can catch up on what you owe. It also stops creditor harassment, puts an end to wage garnishment and helps you regain your financial freedom. Filing for Chapter 13 bankruptcy can be a daunting process. Most people do not feel at ease exposing their personal financial information to creditors and the bankruptcy court. 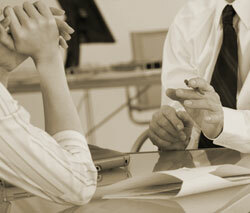 Having an experienced bankruptcy lawyer on your side can help alleviate much of the stress and worry. At The Hamzy Law Firm, LLC, we will be by your side every step of the way, from the initial consultation to the completion of your repayment plan. If you are facing massive debts or foreclosure please call us at 860-589-6525 or contact us online to set up a free initial consultation with an experienced Connecticut debt relief lawyer.